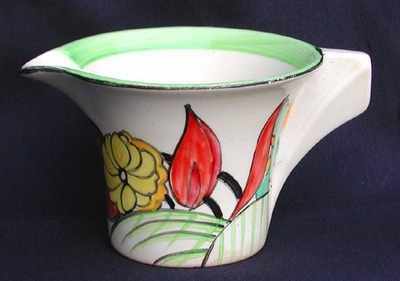 Milk Pitcher in the Moonlight pattern and rare daffodil shape. Excellent condition. Size almost 2.5 inches high. No damage or restoration.Slight wear to the black banding. Signed "Bizarre by Clarice Cliff".